Hanger Hooks are one of many items made by Cove West. This company also proudly manufactures Anchor Pins, Garden Staples, Landscape Staples, Landscape Pins, Sod Staples, and TreeCOVEr products in Fullerton, CA. When you are looking for Hanger Hooks, look no farther. 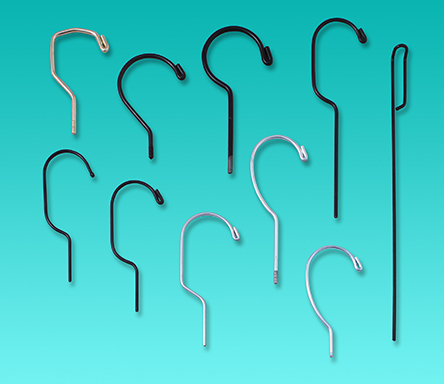 We offer our stock hooks and custom hooks. If you’re on the lookout for top-quality hooks for use in the garment industry, Cove West is the prominent supplier that can help you best. As a result, Cove West is a highly regarded wire forming business that enthusiastically caters to wholesale clients.